Julana is an accomplished performer and choreographer in the Portland area. Daughter to a Broadway performer and world-renown percussionist father, she had no choice but to succumb to the world of music and dance. At fifteen, Julana received a full scholarship to study with Alvin Ailey School of Dance, and has also had the honor of training with legends Joanna Kneeland, Terry Brock, Julane Stites and Barbara Remington. Graduate of the Jefferson Dance Program, she moved on to study and perform with Eveoke Dance Theatre of San Diego, Salsa Con Clave in Puerto Rico, Alvin Ailey, and Broadway Dance Center in New York. Musical theatre appearances include Fame (Carmen), West Side Story (Carmelita), Peter Pan (Tiger Lily 2), and South Pacific (Ensemble). She was co-director for Ache Comparsa Group, Orishas Traditional Dance Troupe, and has also choreographed and appeared in shows for Disney, New York New York Hotel, Nike, Will Vinton Claymation, Oregon Symphony, Oregon Ballet Theatre, American Diabetes Association, DanceWest, Urban Arts Dance Company and more. Currently, Julana is the Director of Dance for Franklin High School and choreographer for Grant High Theatre. She can also be seen performing as the lead singer for popular Latin jazz orchestra, The Bobby Torres Ensemble. Derrell “Sekou Soumah” Walker is a Portland, Oregon native and a strong presence in the West African Drum and Dance community. He is the perfect blend of drum and dance; Western and West African. He effortlessly inhabits the highest levels of Mandingue drum and dance, and blends these skills with his American roots and a deep knowledge of the Mandingue culture. The embodiment of these traits combined with a natural gift for teaching and mentoring make Sekou one of a kind. Africans and non-Africans alike respect him worldwide. This is reflected in Sekou's starring as both a dancer and a percussionist in Moustapha Bangoura's Tinkanyi instructional dance videos in 2003. In 2004 Sekou received his teaching certification from Mamady Keita and Tam Tam Mandingue, followed by a teaching diploma in 2008. Sekou began his dance career in 1998, after several years of training as an athlete. The path from athlete to dancer is an unusual one. As a result of thousands of hours spent training and competing in track & field and baseball, Sekou possesses a grace and power in dance that is rare, particularly amongst American-born African dancers. Sekou continues to refine these skills through performing and teaching dance all over the United States and internationally in countries including Scotland, Singapore, Mexico and Bali. 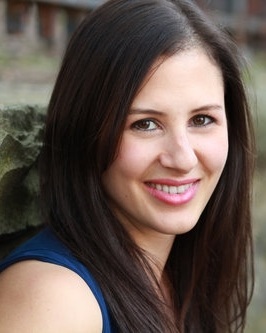 Nicole Accuardi is an actor and theatre educator in Portland, Oregon. Locally, she has performed with various companies including Theatre Vertigo, The Miracle Theatre, Shaking the Tree, Clackamas Rep, and Lakewood Theatre. Internationally, she has performed and taught improvisational theatre at Impro Amsterdam and Cambridge University, and she is currently working as a founder to open an improv and devised theatre company called Deep End Theater in Portland. She graduated from the Pacific Conservatory for the Performing Arts before finishing her BFA in acting at Point Park University. She then went on to get her MAT from Concordia University, and is currently the full time drama teacher at da Vinci Arts Middle School. Most importantly, she was a CIT and camp counselor at YMA for seven glorious summers. She is thrilled to return to one of her favorite places on earth! A Portland native, Alyssa recently moved back to Portland after pursuing a musical theater career in New York City where she had been lucky enough to enjoy performing opera, musical theater and dance. She is incredibly excited to be back teaching and performing in her native state! She currently teaches piano and voice both in her own private studio and with Hoffman Academy of Music in Portland. She has been honored to have been able to music direct and choreograph a variety of local performance, including, Sweeney Todd (Gallery Players Theater, McMinnville) and Singing in the Rain (Mask and Mirror, Tigard). When not teaching or performing, Alyssa likes to spend her time with her two beautiful children, Elena & Jackson, and her husband, Cameron. Mark Sanderlin is an Oregon native who now lives and works as a songwriter and musician in New York City. A graduate of Hofstra University, Mark’s music has appeared in just about every conceivable setting, from cabarets and Off-Broadway theaters to EDM festivals, from sacred spaces to rock concerts, from modern dance commissions to national television. An in-demand accompanist and music director, Mark has played for Broadway greats and frequently acts as producer and arranger in the recording studio. Damon is a big fan of the YMA program and strongly believes in personal growth through Theatre Arts. 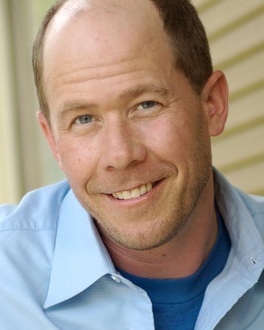 He is a drammy award winning member of Third Rail Repertory Theatre, and has appeared in numerous local productions with Artist Repertory Theatre, Portland Center Stage, Corrib Theatre and Profile Theatre and Well Arts Institute. Damon holds a MFA from UC Irvine and a BA from SUNY Buffalo. 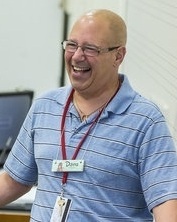 As an ‘Edu-tainer’, Damon has taught for Pacific University, George Fox University, Portland and El Camino Community College as well as with various youth educational theatre programs through Oregon Children’s Theatre, Stop-Gap Drama Therapy Theatre, HeArts For Youth, Vietnam-American Theatre Exchange and others. Lorraine Bahr, is a four time awarded Actress, Director, Writer and Teacher. Some recent local stage performances include: The Crackwalker, Sowelu Theater; Playhouse Creatures, CoHo Productions; The New Electric Ballroom, Third Rail Repertory; In the Boom Boom Room and Vincent River, Sowelu Theatre; Bath Night, Sean McGrath prod. ; Mary Stuart, NW Classical Theatre; Good People, Clackamas Rep; After the Revolution, Bloody, Bloody Andrew Jackson, bobrauchenbergamerica and Angels In America: Millennium Approaches, Portland Playhouse. Film & T.V. work includes: The LIBRARIANS; BAD SAMARITAN; DIZZY PURSUIT; GRIMM; WILD; ANSE & BHULE; Lorraine is co-founder of Sowelu Ensemble Theater /Sowelu Films; she teaches Acting at Portland State University and Acting/ Movement at Young Musicians & Artists. Steve is the lead educator for the San Francisco Maritime National Park Association Age of Sail. He is an award winning actor, a director, musician and a composer. Locally, Steve has performed with Portland Playhouse, Oregon Children’s Theater, Stark Raving Theater, CoHo Productions, Sowelu Theater, Paula Productions and Defunkt Theater. Other companies include We Players, Campo Santo, Shakespeare & Company, and Shakespeare by the Sea. He was part of Kristy Edmunds’ performance/installation Over There and has done crisis training role-playing for The Department of Corrections at the Oregon State Penitentiary. Steve has been a scribe and actor for The Well Arts Institute Elder Writing Program, and a mentor, actor, composer, musician, director and stage manager with The Haven Project. He was a founding member of the Resident Acting Company for Stark Raving Theatre, and was an actor, the Training Programs Manager and an Education Artist for Shakespeare & Company in Lenox, MA. Heidi Sprecher is a theatre technician and educator based in Portland, Oregon. In her professional life, Heidi has worked locally in many different technical capacities: Stage Management, costume shop, stagehand, and her favorite - stage lighting. Heidi graduated with a BS in Theatre (and yes, she chose a BS over a BA just so she could make that joke) from Portland State University. She went on to get her MAT from Concordia University. She spends most of her days working as a teaching artist and lighting designer at da Vinci Arts Middle School. This is Heidi’s first summer at YMA, and she is beyond delighted to be joining this family of artists! Liz Barton is a visual artist, based in Milwaukee, WI, who works in multiple mediums including oil painting, printmaking, papercutting and photography. Formerly a professional classical musician, Barton holds a Master of Music degree in Horn Performance from Sacramento State. After working as a professional chamber and orchestral musician for 10 years, she returned to her visual art roots to explore the intersection of the two disciplines. In 2013, Barton received a grant from the Sacramento Metropolitan Arts Commission (SMAC) for Mobile Sound Lab, an interactive sound installation. She took her Mobile Sound Lab to Maker Faire in San Mateo, CA, where it was awarded Best in Class. Also a teaching artist specializing in arts integration, she has received extensive training from The Kennedy Center and SMAC teaching artists. Barton has designed and delivered workshops and residencies in schools and libraries, created sound art with homeless adults in San Francisco and worked to unleash creative habits of mind in business professionals. Her recent activities include leading printmaking workshops in Alaska, creating spontaneous works at a street festival, and working as a contributing artist for the Milwaukee Riverkeeper Boat Parade. Barton also enjoys working with her teaching partner, Jonathan Ellis, to bring Free Paint Get Togather, a free pop-up painting studio and plein aire experience, to communities throughout the area. Educated at SAIC, School of the Art Institute of Chicago, Jonathan Ellis has a prolific body of work and contemporary styles. For nearly a decade, he has nurtured Milwaukee, Wisconsin community building through his Free Paint Get Together events that are both healing and inspirational. Scott Hohman teaches high school photography and art in the Portland, Oregon area. Born and raised in Alaska and Arizona, his interest in travel and exploring the world began early, and continues to be a driving force both personally and professionally. Scott has been a public school teacher for 26-years. He has a passion for guiding young people in their journeys of self-discovery through image making, and encouraging them to see how they fit into the wider world. In addition to photography and visual art, he is a radio DJ with local station Freeform Portland, loves live music of any kind, and could talk about music for hours. Hobbies and interests aside, most of all he enjoys connecting with other good souls over a meal and conversation. Joanna Rose is the author of the novel Little Miss Strange (Pacific Northwest Fiction Prize, finalist Oregon Book Award) as well as numerous short stories, poems and essays, including “That Thing with Feathers”, cited as Notable in Best American Essays. Her novel, A Small Crowd of Strangers, is forthcoming in 2020. She has worked for Literary Arts as part of Writers in the Schools for 20 years, and for 25 years has co-hosted The Pinewood Table, a prose critique group in Portland that has seen many of its participants go on to publish books as well as pieces in literary journals. She is an Atheneum Fellow in Poetry with The Attic Institute of Arts and Letters. Dana Libonati is a published songwriter, composer and arranger. He holds bachelors and masters degrees in music composition and theory from the University of Portland. Dana teaches music at Chemeketa Community College and McMinnville High School and spent 22 years on the music faculty at Linfield College. He also performs as a solo jazz pianist and in his jazz quartet Ad Lib. Ralph Huntley (pianist, accordionist, and composer) is a 25+ year veteran of the music and theater scene in Portland, OR. He is a founding member and music director of the nationally syndicated, locally produced public radio show Live Wire. He has performed and/or recorded with Bill Frisell, Alejandro Escovedo, Peter Buck, Scott McCoughey, Willy Vlautin, Richmond Fontaine, Fernando Viciconte, and award-winning animator Chel White. 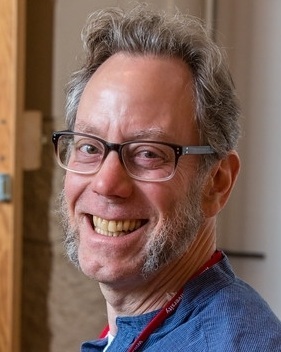 He has composed music for and performed with NPR’s Marketplace, DoJump Theater (with whom he recently performed in New York on Broadway and in Washington D.C. at the Kennedy Center with his Klezmer-fusion band Klezmocracy), Powell’s Books, the Oregon Lottery, and Artist Repertory Theater. He has accompanied dance at Lewis & Clark College, Oregon Ballet Theater, and DaVinci Arts Middle School. He also teaches piano lessons. He has been with YMA for over 10 years.